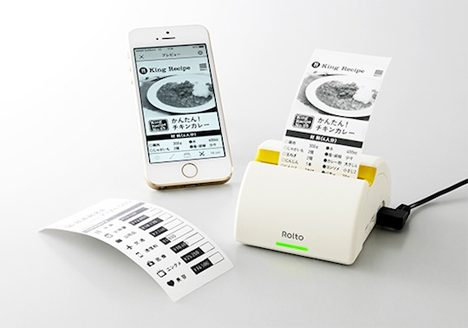 There’s never been a shortage of weird and seemingly-unnecessary iPhone accessories, and the Rolto printer from King Jim is joining those ranks. The $260 (U.S.) printer more or less takes a screenshot of your iPhone screen, then prints it out (in black and white) onto paper – an iPhone-width piece of paper that looks like a receipt. 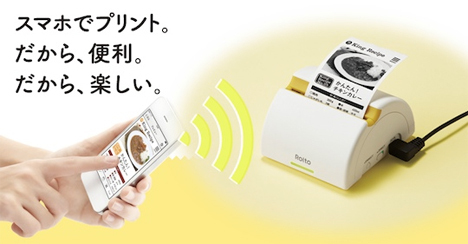 The printer connects to your iPhone over a wifi connection and requires a free app to use its interface. The app is in Japanese, but is graphics-based so should be easy enough to use for non-Japanese readers. 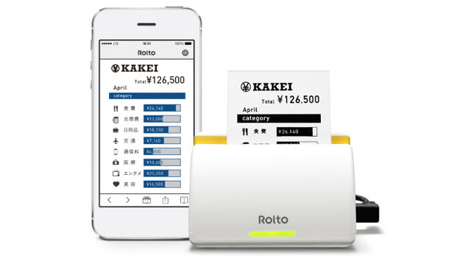 Even if the thing you need to print is longer than the iPhone’s screen and requires scrolling on the phone to see it all, the Rolto will print it all. Its paper is on a long roll, like a roll of receipt paper, so you’ll only have one piece of hard copy to deal with. So the concept sounds a little ridiculous (particularly for the price), but we can actually see it coming in handy in a few situations. Sharing notes or directions, taking a recipe into the kitchen without risking your iPhone’s health, and printing a quick photo all come to mind. Since it’s portable and specifically meant to use with an iPhone, it can be used wherever there’s a wifi connection. See more in Phones & Mobile or under Gadgets. August, 2014.